Virginia Gov. Terry McAuliffe's (D.) former electric car company has been audited to repay $6.4 million of public funds to the state of Mississippi. GreenTech Automotive, which McAuliffe left in 2012, was unable to deliver on its promise to create jobs in the state of Mississippi, according to the Richmond Times-Dispatch. Pickering told the Times-Dispatch that the litigation, should it arise, could possibly involve McAuliffe. 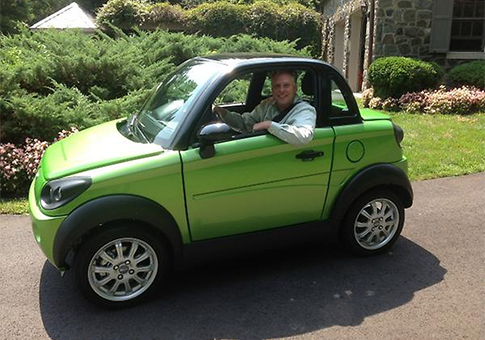 McAuliffe founded GreenTech Automotive by buying a Chinese company and moving it the the U.S. after his failed bid for governor in 2009. The company's 2012 ribbon-cutting ceremony in Mississippi included McAuliffe, former President Bill Clinton, and former Mississippi Gov. Haley Barbour. The last time GreenTech posted on its website was in September, to indicate it was moving its corporate headquarters to northern Virginia. Pickering said GreenTech resisted outreach, escorting auditors off the property. Pickering's office ultimately had to obtain subpoenas and court orders to force GreenTech to comply with the audit. "We've never had a company force our hand at this level," Pickering said. Pickering said he did not see a possibility of extending the repayment period past 30 days. "They're going to have to show real action to make the taxpayers whole in Mississippi," Pickering said. This entry was posted in Politics and tagged Terry McAuliffe, Virginia. Bookmark the permalink.